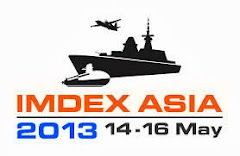 "The cooperation between Suncraft and Radimax was established primarily to provide for ASD Piranha Sea Guard of the Royal Malaysia Police," said Idris Othman - the project manager's navy said at the Radimax LIMA 2015 shows past. Besides providing Malaysian Coast Guard, vessel's capabilities have been demonstrated before Legislation Maritime Authority Malaysia. The company says it can reach the Coast Guard Vietnam and the Philippines to demonstrate the ability of the Piranha. A joint venture has a week to submit a verified position paper explaining why the Department of National Defense should retain a P1.26-billion helicopter deal despite its failure to deliver 21 UH-1 helicopters to the Philippine Air Force on time. DND Secretary Voltaire Gazmin has sent a "Notice to Terminate" dated March 25 to Robert Rice Jr., the official representative of the joint venture of US-based Rice Aircraft Services Inc. and Canada-based Eagle Copter Ltd. saying it would "partially" terminate the deal because it has failed to comply with the agreed delivery schedule of 21 UH-1 helicopters. "Failure to show cause within the provided period, either by inaction or by default, shall cause the issuance of an order terminating the contract," the Defense secretary stressed. The letter said that the joint venture reached the maximum liquidated damages on January 31 when it failed to comply with the agreement that the delivery of the choppers should be within 180 days since the Letter of Credit was opened. "The Letter of Credit was opened in 27 March 2014 and the deadline for delivery for the Contract is on 23 September 2014," Gazmin wrote. He pointed out that the DND gave a 13-day extension for shipment number two, composed of UH-1 with tail number 8969 and 8502. Its delivery date was October 16, 2014. 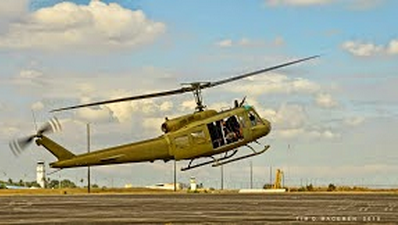 However, Rice Aircraft Services Inc. and Eagle Copter Ltd. delivered the units "in tranches." 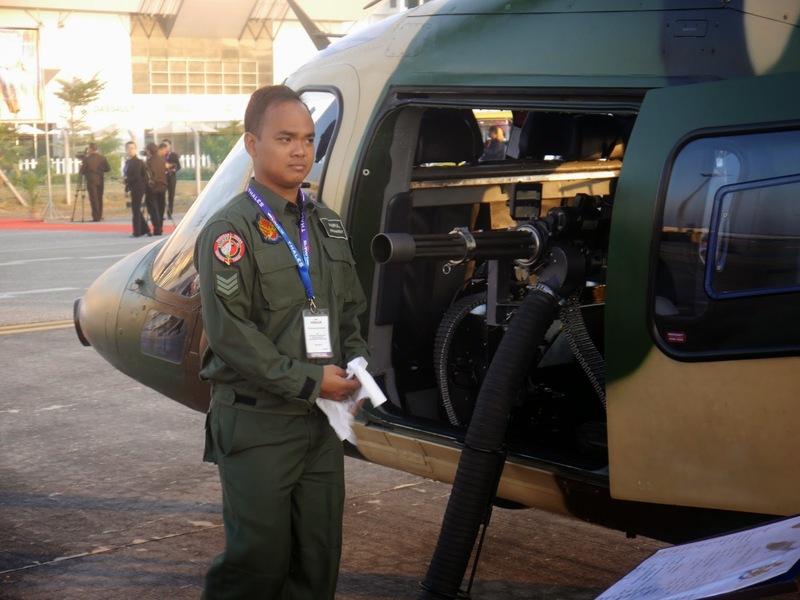 As of the date of the notice, only eight out of the 21 UH-1 helicopters and 21 sets of gun mounts were completely delivered to the Armed Forces of the Philippines' Technical Inspection and Acceptance Committee. When DND was still bidding out the procurement deal for the helicopters, the joint venture failed to comply with the documentary requirements set by the DND Bids and Awards Committee. It also submitted an unsigned document. Last March 19, three lawmakers — Reps. Samuel Pagdilao of ACT-CIS party-list, Leopoldo Bataoil of Pangasinan, and Romeo Acop of Antipolo City — who were former police officials asked the House to look into the deal, saying the helicopters were obsolete and the transaction was done in bad faith. The Australian Government had provided First Pass approval for project SEA 1448 Phase 4B – ANZAC Air Search Radar Replacement. 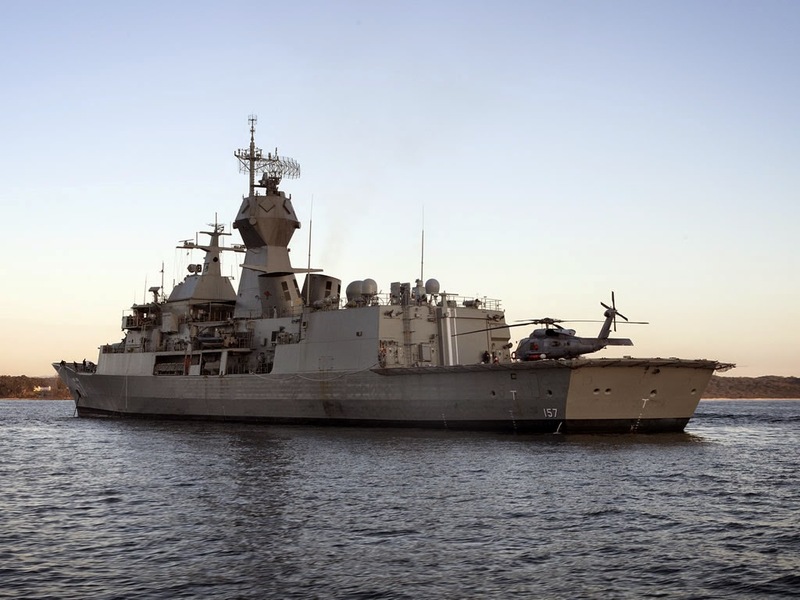 The ANZAC frigates use their air search radar to scan at long ranges for potential threats. The radar is an integral part of a modern warship and important for ensuring the safety of the vessel and other friendly ships in dangerous areas. The current ANZAC radar is old and requires replacement with modern technology to maintain the robust front-line capability provided by these ships. In addition to the radar replacement, there will be an upgrade to the Identification Friend or Foe (IFF) capability to comply with future military and civil Secondary Surveillance Radar aviation requirements. 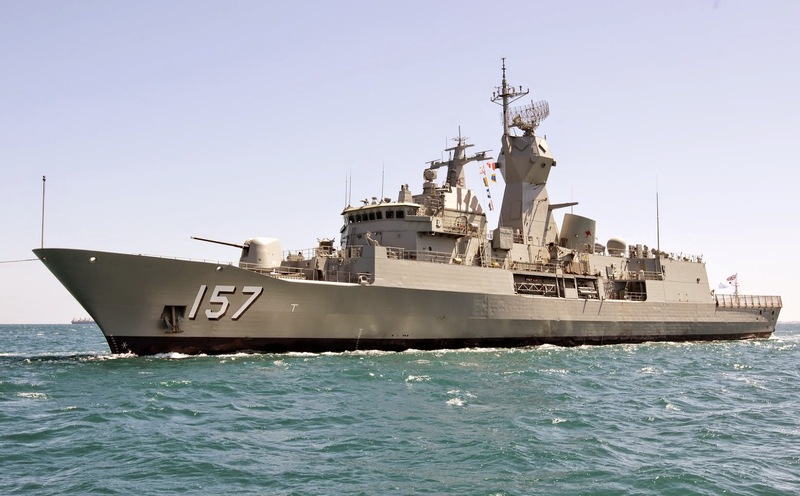 The project intends to replace the ageing long-range radar onboard the ANZAC class frigates with significantly more capable radar, with integrated and upgraded IFF capability, currently under development by CEA Technologies in Canberra. 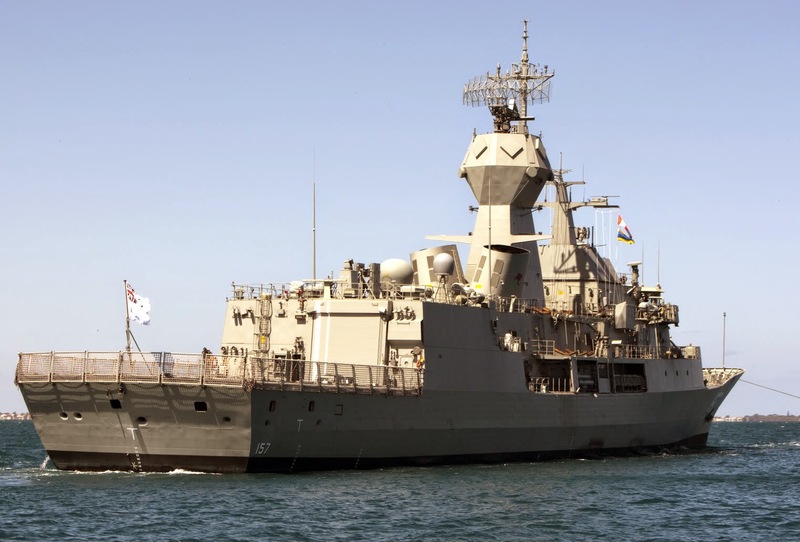 CEA is an internationally recognised Australian company that developed the successful Anti-Ship Missile Defence ‘CEAFAR’ radar currently being installed on the ANZAC frigates. The new radar will build on this successful technology to deliver a generational improvement over the current ANZAC long-range radar. The CEA long-range radar is expected to provide earlier warning of potential threats and greater situational awareness to the ship and the task group. The two radars share the same design principles and will provide a significant capability advantage to our ships. The Department of Defence will continue to work with CEA to successfully develop this new technology. As part of a Risk Reduction Program with CEA, the technology is expected to be demonstrated in 2015‑16. In the event that the Risk Reduction Program is not successful, Defence may consider military‑off‑the‑shelf radar options. Government will consider the next steps for the project at Second Pass approval planned for 2016-17. The new capability is forecast to be in service by the end of the decade. It is expected that it will be supported by Australian industry throughout its life. Minister for Defence Dr Ng Eng Hen officiated at a ceremony to mark the achievement of Full Operational Capability (FOC) status by the Republic of Singapore Air Force (RSAF)'s Hermes 450 (H-450) Unmanned Aerial Vehicle (UAV) at Murai Camp this afternoon. Speaking at the ceremony, Dr Ng highlighted the significance of this milestone to the overall enhancement of the Singapore Armed Forces (SAF)'s defence capabilities. He said, "The Hermes 450 is one of the most capable UAVs in its class and indeed, the world. Compared to the older UAVs, the Hermes 450 enhances our Intelligence, Surveillance and Reconnaissance capabilities with its extended endurance, advanced avionics and more capable sensors." Dr Ng also emphasised the importance of the role of UAVs in military operations today. He said, "UAVs have now become a critical asset to many military operations and have proven themselves to make a decisive difference to outcomes, whether it is in peacetime operations or battles." Operated by 116 Squadron, the H-450 is the first advanced UAV to achieve FOC status in the SAF. After taking delivery of the H-450s in May 2007, the UAV pilots, air force engineers and maintenance crew have undergone intensive training to operate and maintain the aircraft, as well as integrate the aircraft to support the SAF's operations. Also present at the ceremony were Chief of Defence Force Lieutenant-General Ng Chee Meng, Chief of Air Force Major-General Hoo Cher Mou and other senior officers from the SAF. The Republic of Singapore Air Force (RSAF) acquired the Hermes 450 (H-450) UAV to complement the Searcher UAV and Heron 1 UAV. Utilising a Wankel Engine, the H-450 is a single engine system with advanced composite structure and optimised aerodynamics. 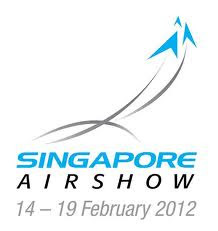 Its long endurance and improved detection capability provides the Singapore Armed Forces (SAF) with better situational awareness in the field. The capabilities of the RSAF's H-450 include a 3-in-1 payload equipped with Electro-Optical, Forward Looking Infra-Red system and a Laser Designator. This enables the H-450 to augment our battlefield surveillance capabilities by conducting a wide array of missions such as Target Acquisition and Designation, Reconnaissance and Battle Damage Assessment. UAV pilots are able to focus on collecting and processing information because the H-450 is able to operate on autonomous flight mode. This enhances the timeliness of critical information dissemination. 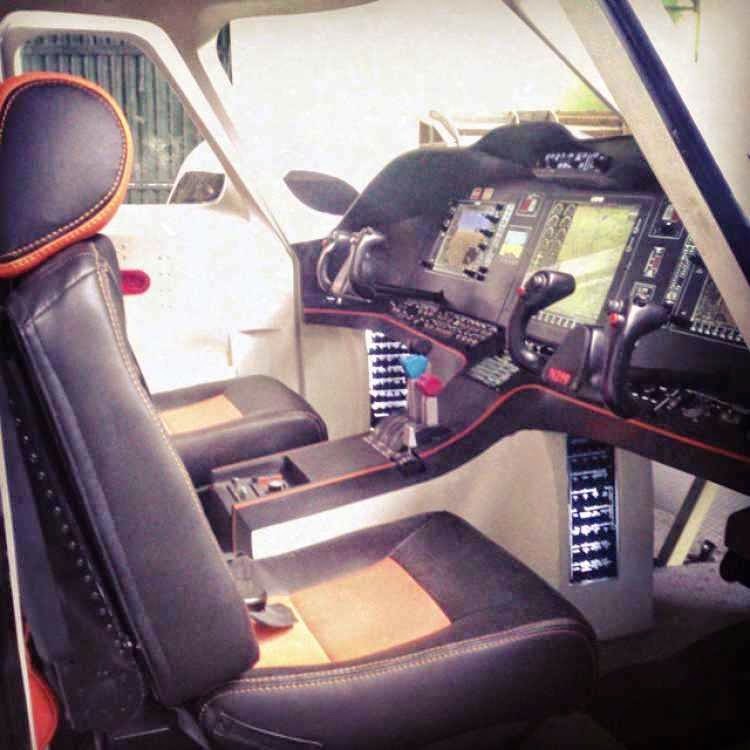 The H-450 is operated from a Ground Control Station (GCS). Through the GCS, control signals are sent to, processed, and retrieved from the H-450. 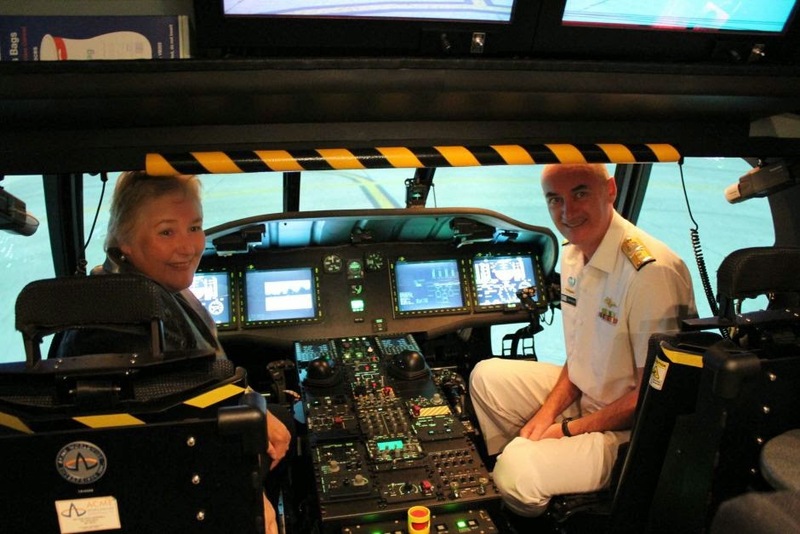 It is also equipped with a communication system that is able to transfer imagery real-time from the H-450. The H-450 operates using a two-man crew concept, each with the ability to fly the UAV and control the 3-in-1 sensor payload at the same time. This enables one UAV pilot to control the UAV and payload while the other focuses on collecting and processing information. 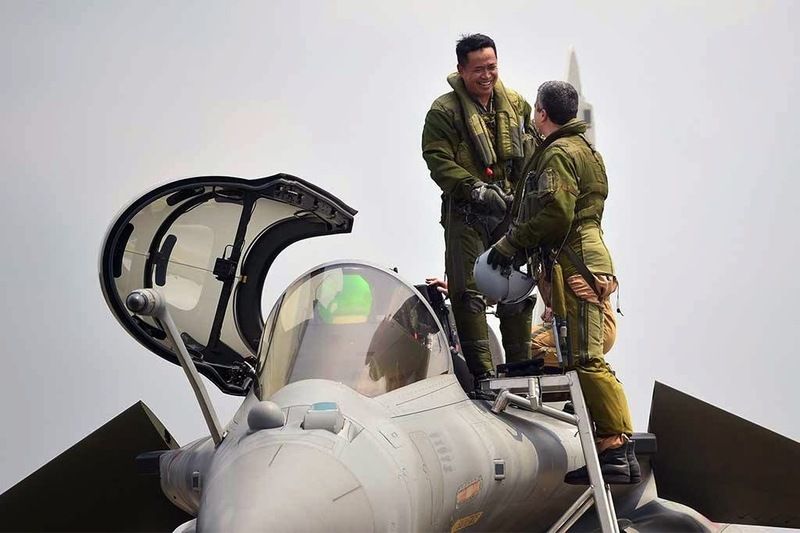 Seoul (AFP) - South Korea on Monday selected Korea Aerospace Industries (KAI) and partner Lockheed Martin for a multi-billion-dollar contract to develop 120 "indigenous" fighter jets to replace Seoul's ageing fleet. The bid from KAI and the US aerospace giant, which is subject to a screening process before being officially approved, was always seen as the favourite for the 8.6 trillion won ($7.8 billion) deal over a rival bid by civilian carrier Korean Air (KAL) teamed with Airbus. The Defence Ministry also approved a separate $1.28 billion deal to buy Patriot PAC-3 missiles and upgrade its air defence system aimed at intercepting North Korean ballistic missiles. 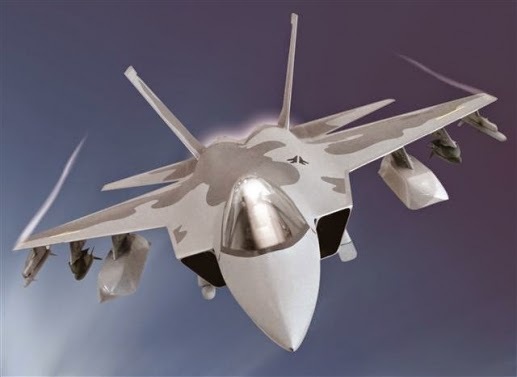 The KF-X fighter project is designed to develop and produce 120 fighter jets of a new, indigenous type to replace South Korea's ageing fleet of F-4s and F-5s. "We have chosen KAI as the preferred bidder based on our review of... cost, development plans and development capabilities of the two bidders," the Defense Acquisition Program Administration (DAPA) said in a statement. "We are planning to sign the (final) contract during the first half of this year after negotiating with the preferred bidder over technology... and the price," it said. The South Korean government is to provide 60 percent of the development costs, with the rest to be shared by the winning consortium and Indonesia, whose involvement is the result of a bilateral defence treaty. The KAI-Lockheed alliance always had the upper hand, as the same partnership developed the T-50 trainer, which is South Korea's first homegrown supersonic aircraft. Lockheed, which won a contract in 2013 to sell 40 F-35A joint strike fighters to South Korea, has promised to transfer key technologies for the KF-X project to Seoul. South Korea's military procurement needs, especially where the air force is concerned, have overwhelmingly been met by US suppliers in the past -- a reflection of their close military alliance. 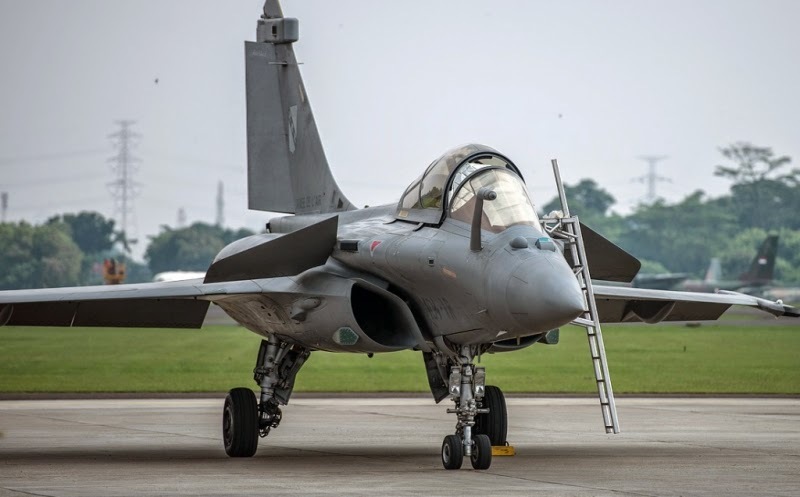 KAL had talked up its bid by highlighting the technical support available from Airbus, which is part of the European consortium that developed the Eurofighter. Airbus has made a number of bids for the South's military contracts, including a $1.38 billion deal to provide air refuelling tankers. 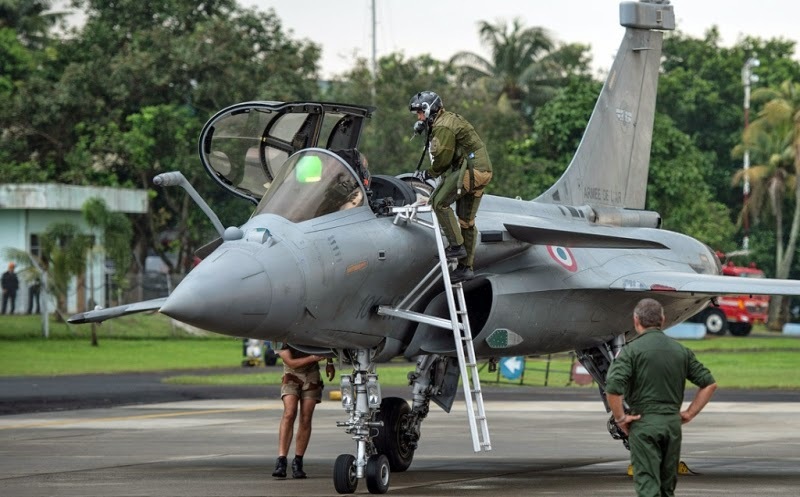 The defence ministry's request for the KF-X project required a new design, although experts say a heavily modified version of an existing fighter model would also be acceptable. DAPA officials said South Korea would also buy an unspecified number of "hit-and-kill" PAC-3 missiles from Lockheed Martin by 2020 to improve its anti-ballistic missile capabilities. US defence contractor Raytheon has been selected to upgrade South Korea's PAC-2 fire control system to launch both PAC-2 and PAC-3 missile, DAPA spokesman Kim Si-Cheol told reporters. 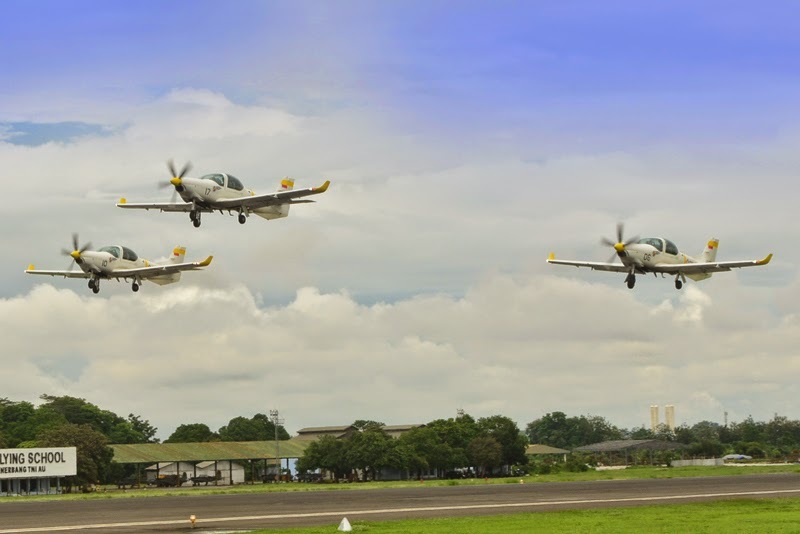 MANILA (PNA) -- The Philippine Air Force (PAF) has allocated PhP39,614,257.57 for the acquisition of spares needed for the upgrading of the environmental control system of one of its SIAI-Marchetti S-211 jet aircraft. 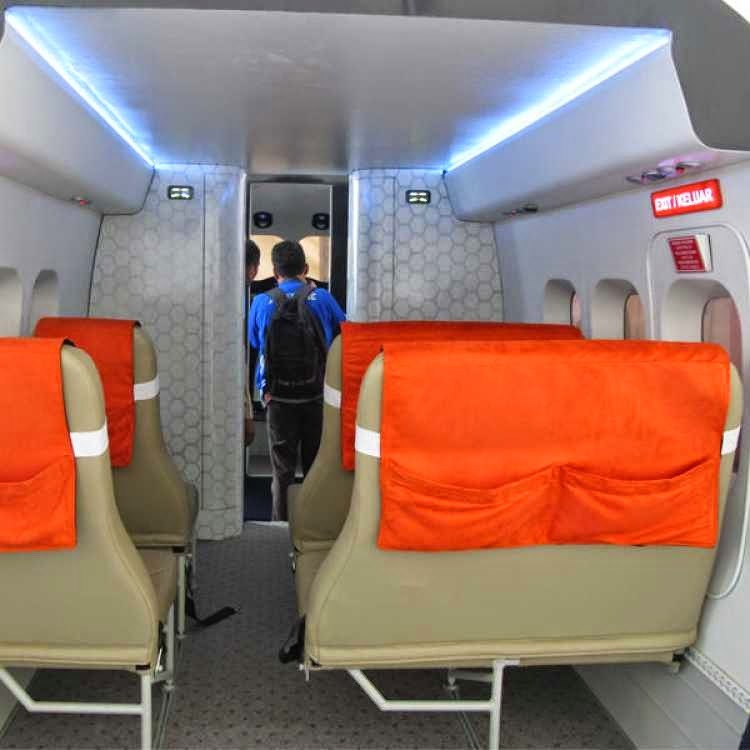 The environmental control system provides air supply, thermal control and cabin pressurization for the crew and passengers. Avionics cooling, smoke detection, and fire suppression are also commonly considered part of an aircraft's environmental control system. Pre-bid conference is scheduled for March 30 at 11 a.m.at the PAF Procurement Center Conference Room, Villamor Air Base, Pasay City. On the other hand, bid opening and submission is scheduled for April 14 at 9 a.m. at the same venue. The PAF operates three to five S-211s and uses it for air defense and attack missions. Merdeka.com - Klaim China terhadap Laut China Selatan bikin banyak negara di kawasan Asia Tenggara berang, tak terkecuali Indonesia. Bahkan, Presiden Joko Widodo dalam sebuah wawancara dengan wartawan Jepang menyebut klaim tersebut tidak berdasar alias ilegal. Namun, penolakan dari sejumlah negara tak membuat China lantas berdiam diri. China sengaja melakukan manuver agresif di Laut China Selatan. Negara komunis itu menempatkan tiga kapal perang di Atol Laut James Shoal, Malaysia. Salah satunya adalah Kapal Induk Liaoning, yang mampu mengangkut belasan jet tempur J-15 (varian Sukhoi Su-33). Untuk mendukung penguasaan atas wilayah itu, China telah menempatkan armada lautnya di Zhanjiang, Provinsi Guangdong. Pangkalan ini meliputi Yulin Naval Base di Hainan Island, Guangzhou, Haikou, Shantou, Mawei, Beihai dan Stonecutters Island, Hong Kong. Usut punya usut, klaim yang bikin repot enam negara ini dipicu kebijakan pemerintahan Partai Kuomintang (kini berkuasa di Taiwan). Mazhab politik Kuomintang menafsirkan wilayah China mencapai 90 persen Laut China Selatan. China sejauh ini telah bersengketa sengit dengan Vietnam dan Filipina akibat klaim mereka di Kepulauan Spratly. Lima tahun terakhir, PBB belum bersikap atas protes dari pemerintah Indonesia. China juga tidak pernah menyinggung isu itu, sehingga hubungan Beijing- Jakarta relatif adem ayem. 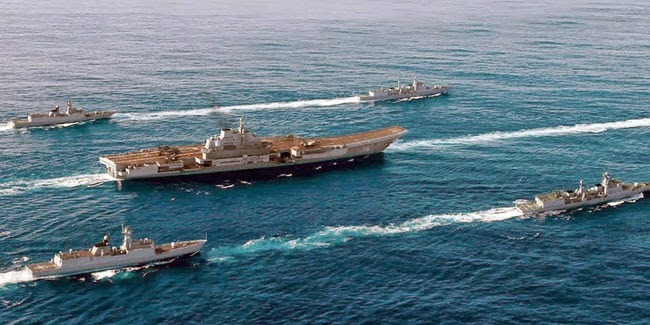 China menjadi salah satu negara yang memiliki kapal induk di kawasan Asia di era modern setelah Jepang dan India. 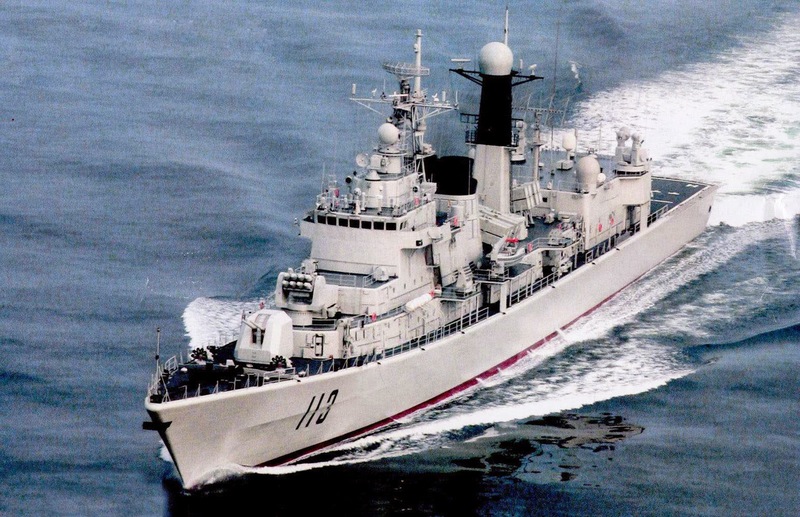 Kapal induk yang dimiliki negara ini diberi nama Liaoning, yang diambil sesuai nama provinsi lokasi kapal perang ini bersandar. 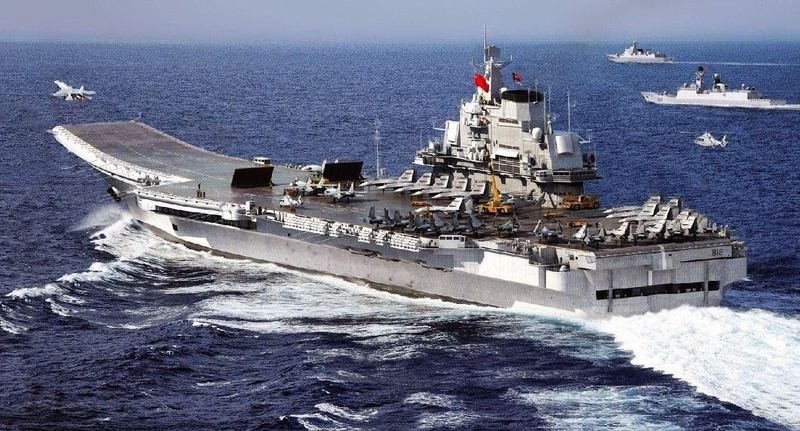 Liaoning sendiri merupakan kapal induk kelas Admiral Kuznetsov. Kapal ini sebelumnya dibangun oleh pemerintah Uni Soviet untuk menandingi kekuatan AS di laut lepas, sayang hingga terpecah pembuatannya tidak pernah terselesaikan dan jatuh ke tangan Ukraina, lokasi pembuatan kapal ini hingga dijual kepada China. Kapal ini sendiri memiki bobot kosong 53.050 ton, dan jika terisi penuh bobotnya mencapai 67.500 ton. Dengan kapasitas itu, kapal ini mampu mengangkut empat jenis pesawat tempur, yakni 24 Shenyang J-15, Changhe Z-18, 4 Ka-31 dan 2 Harbin Z-9. Kapal ini dilengkapi mesin uap dengan 8 busi bertenaga 150 MW. Mesin ini mampu mendorong kapal dengan kecepatan 32 knots atau 59 km per jam, dan mampu menempuh jarak 3.850 nautical miles atau setara dengan 7.130 km. Karena ukurannya yang sangat besar ini, Liaoning dapat menampung 1.960 kru. China saat ini mempunyai 29 Destroyer diisi oleh kelas Sovremenny 4 unit dan Type 051 dan Type 052 sebanyak 25 unit, selain itu masih ada 5 masih fitting out. Sebagai pelengkap, China juga mengerahkan sembilan kapal jenis destroyer untuk mengamankan wilayah Laut China Selatan yang diklaim secara sepihak. Kapal yang dikerahkan tersebut berasal dari kelas Luyang, Luhai dan Luda. 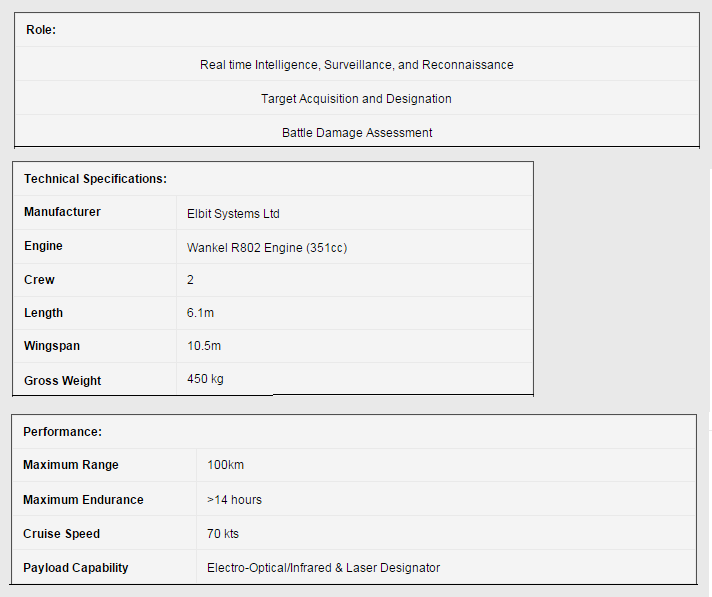 Bobot kapal jenis Luyang ini memiliki bobot standar 5.850 ton, panjang 155 meter dan lebar buritan 6 meter. Untuk mesinnya bisa menggunakan bahan bakar diesel atau gas, serta dilengkapi 48 senjata anti udara, 16 meriam, 2 mortar dan 2 tabung torpedo. Kapal ini juga mampui mengangkut satu unit heli jenis Kamov Ka-27. Kapal kelas Luyang yang beroperasi di Laut China Selatan antara lain Kunming (172), Lanzhou (170), Haikou (171), Guangzhou (168) dan Wuhan (169). Sedangkan kapal jenis Luhai memiliki bobot sekitar 6.100 ton, panjang 153 meter dan lebar buritan 6 meter. Kapal ini dapat didorong dengan menggunakan bahan bakar diesel maupun gas dengan 2 unit steam turbines, dan memiliki kecepatan maksimal hingga 31 knots atau 57 km per jam. Hanya ada satu tipe yang dioperasikan di wilayah ini, yakni Shenzhen (167). Terakhir, kapal destroyer kelas Luda memiliki bobot 3.670 tons, panjang 132 meter dan lebar buritan mencapai 4,6 meter. Di dalamnya terpasang dua turbin uap berkekuatan 53.700 MW dan mampu mendorong kapal dengan kecepatan 32 knots atau setara dengan 59 km per jam. Ada tiga jenis kapal yang beroperasi di Laut China Selatan, yakni Nanchang (163), Zhanjiang (165) dan Zhuhai (166). 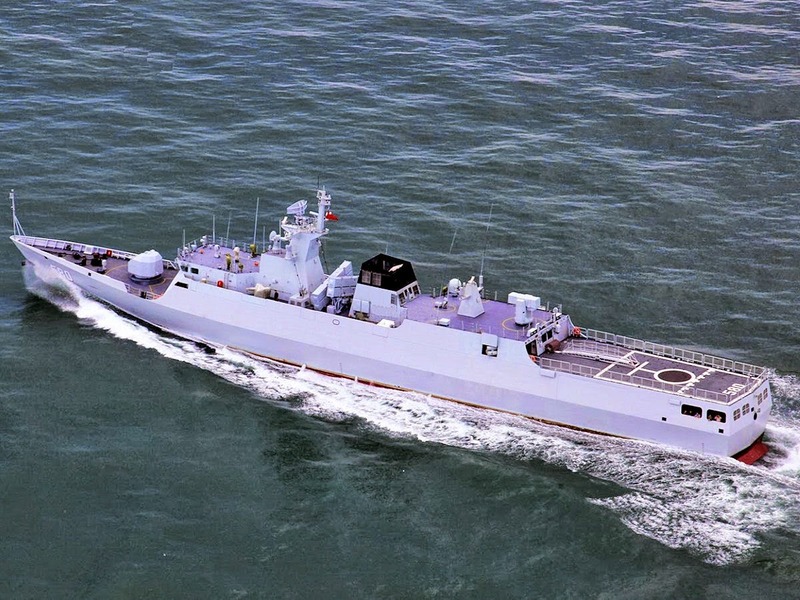 Ada tiga kelas kapal frigat yang ditugaskan untuk beroperasi di Laut China Selatan, yakni Jiangkai-Class II, Jiangwei II-Class dan Jianghu V-Class. Ketiganya termasuk kapal perang canggih yang dilengkapi pelbagai peralatan elektronik di dalamnya. Terdapat delapan kapal kelas Jiangkai yang beroperasi di Laut China Selatan, antara lain Huangshan (570), Chaohu (568), Yuncheng (571), Yulin (569), Hengshui (572), Liuzhou (573), Yueyang (575) dan Sanya (574). 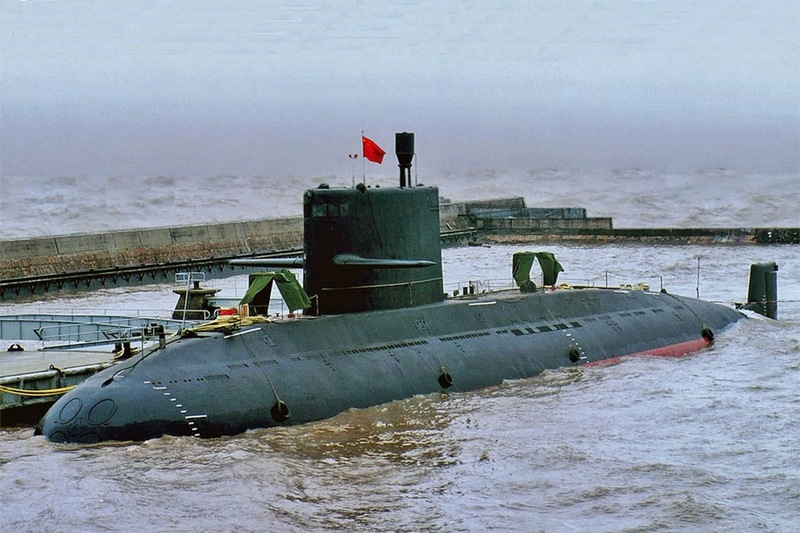 Untuk Jiangwei II hanya terdapat tiga kapal yang dioperasikan di Laut China Selatan, yakni Yichang (564), Huaihua (566) dan Xiangyang (567). Sedangkan terdapat enam kapal kelas Jianghu V, yakni Beihai (558), Kangding (559), Dongguan (560), Shantou (561), Jiangmen (562) dan Foshan (563). Kapal korvet juga dikerahkan China untuk mengamankan Laut China Selatan dari lima negara yang ikut bersengketa. Kapal korvet tersebut merupakan kelas Jiangdao, yang memiliki kemampuan siluman yang dibuat sedikit lebih miring untuk mengurangi kekacauan terhadap strukturnya yang besar. Meriam anti-kapal YJ-83 menjadi senjata utama dalam kapal ini. Untuk menjaga dari serangan udara, kapal dilengkapi dengan FL-3000N dengan kemampuan menembak sampai delapanm peluru. Terpasang juga meriam 76 mm, serta tiga tabung torpedo yang dipasang di kedua sisi kapal untuk menembaki kapal selam. Kapal korvet yang bertugas untuk berpatroli di Laut China Selatan, antara lain Meizhou (584), Baise (585), Jieyang (587), Qingyuan (589) dan Luzhou (592). Berkat perjanjian persahabatan dan bantuan timbal balik antara China dan Soviet pada 1950, membuat China mendapatkan berbagai peralatan terbang canggih. Alhasil, negeri Tirai Bambu mendapatkan 84 jenis kapal selam tipe 033 yang seluruhnya dibuat secara lokal dan menjualnya ke negara-negara lain. Tipe ini merupakan peningkatan dari kapal selam aslinya, yakni Romeo dengan beberapa penambahan seperti pengurangan kebisingan, serta mengganti sistem sonarnya dari buatan Uni Soviet menjadi Type 105 sonar buatan China. Sayang, dari 84 kapal selam yang sudah dimilik banyak di antaranya sudah dikanibalisasi, namun China masih mengoperasikan 13 lainnya. Delapan di antaranya diterjunkan untuk beroperasi di Laut China Selatan. Meskipun TDM telah lama melahirkan keperluan untuk keupayaan helikopter penyerang, keperluan tersebut tidak pernah dipenuhi kerrana terdapat keperluan yang lebih mendesak disamping PUTD masih jumlah muda usia penubuhannya. Pun begitu harapan TDM tidak dihampakan apabila kerajaan membeli sejumlah 11 buah helikopter Agusta A109M yang dioptimakan untuk tugas pengawasan medan dan tugas kawalan dan perintah. Meskipun boleh dilengkapi dengan pod mesingan dan roket, helikopter PUTD tidak dilengkapi dengan sistem persenjataan tersebut. Terdapat spekulasi bahawa berat sistem pengawasan serta penderia elektro-optik yang dipasang pada helikopter A109M membataskan bebanan tambahan yang boleh dibawa terutamanya sistem persenjataan. Tambahan pula, keupayaan pengawasan serta sistem komunikasinya yang canggih menjadikannya satu aset pengganda kuasa dalam keupayaan tempur TDM. Pun begitu, pencerobohan kumpulan bersenjata daripada kepulauan Mindanao telah mengubah segala- galanya dalam sekelip mata. Meskipun bantuan rapat udara diberikan secara berterusan oleh pesawat pejuang TUDM, operasi pasukan keselamatan seringkali dilakukan tanpa bantuan tembakan secara langsung daripada udara. Bukan itu sahaja, helikopter pasukan keselamatan juga tidak dilengkapi dengan sebarang keupayaan ofensif untuk mempertahankan diri sekiranya diserang musuh. 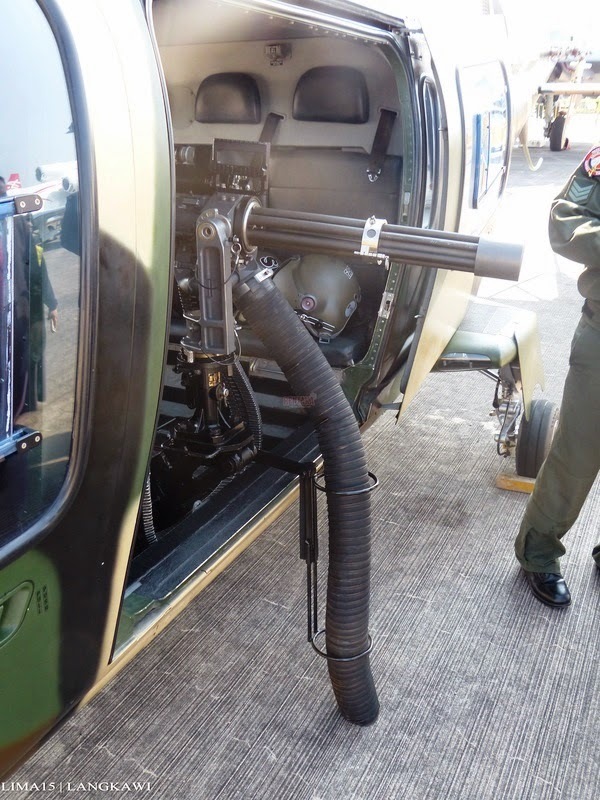 Untuk itu, sejumlah helikopter milik PUTD mula dipasang dengan mesingan gatling M134D berkaliber 7.62mm keluaran firma Dillon Aero daripada Amerika. Mesingan ini mempunyai enam laras dan beroperasi menggunakan konsep gatling. Oleh itu ia memungkinkan mesingan ini mempunyai kadar tembakan yang sangat tinggi iaitu kira- kira 3,000 butir peluru seminit atau 50 butir peluru sesaat. Kadar tembakan yang tinggi adalah penting bagi mesingan yang dipasang pada pesawat kerana ia memberi keupayaan untuk jurutembak menembak sasaran dengan jumlah tembakan yang tinggi dalam jangkamasa yang singkat terutamanya ketika pesawat bergerak laju untuk menidakkan musuh peluang untuk membidik senjatanya ke arah pesawat dengan tepat. Semasa pameran LIMA 2015, tim RENTAKA telah dapat melihat dengan dekat mesingan M134D yang dipasang pada helikopter A109M PUTD. The Missile Institute staff has researched and manufactured successfully e-9P516 block - key components of the structure Igla shoulder-launched missiles. The scientific staff of the Institute of Missile Institute of Science and Technology Military - MOD research has designed, fabricated electronic block type 9P516. This is the main component of the structure 9P516 missile launcher Igla , prepared release function and Igla missile launcher in battle. According to Colonel Do Tuan Cuong, Head of Technical Applications missile, Missile Institute, author of the project "Research, design and manufacture of electronic block type 9P516 Igla missiles ", the team has mastered the technology and manufacturing electronic volume 6 of technical standards abroad; was transferred to the plant in the country overall structure assembled reporters. 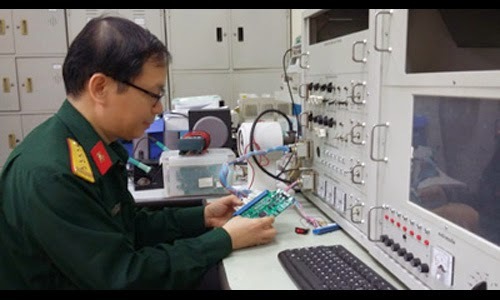 The author has completed the design documentation, materials technology electronics manufacturing sector in accordance with the conditions of skilled technicians and workers Vietnam. Based on the technology employed, the scientists also studied improvements, localized electronic block type 9P516 . Results, 2/4 block of electronic boards have been fully localized (produced from materials and components in the country), tested compatible and works well with the table structure prototype launcher; 2 other tables being studied under the direction of components used in combination with a foreign country, the first step to good results. The study design, fabrication successful electronic block type 9P516 high practical significance, to help master the technology, actively source components and materials; reduce dependence on foreign experts, contribute to improving the quality of technical assurance and ability SSCD. SOLO, suaramerdeka.com - Pemerintah pusat, melalui PT Dirgantara Indonesia (DI), tengah menyiapkan produksi massal pesawat kecil jenis N-219. Pesawat tersebut dikhususkan untuk melayani penerbangan jarak dekat antarwilayah di Indonesia. “Harga keekonomiannya bisa berkisar US 6 juta dollar. Atau kira-kira Rp 70 juta per unit. Dibanding dengan produksi luar negeri, harga segitu jauh lebih murah.” jelasnya. KUALA LUMPUR (Bernama) -- Boeing and Destini Prima Sdn Bhd, a maintenance, repair and overhaul (MRO) supplier for aviation safety equipment, today signed an agreement to explore potential opportunities for Destini Prima to provide services and support for Boeing's AH-6i helicopter. 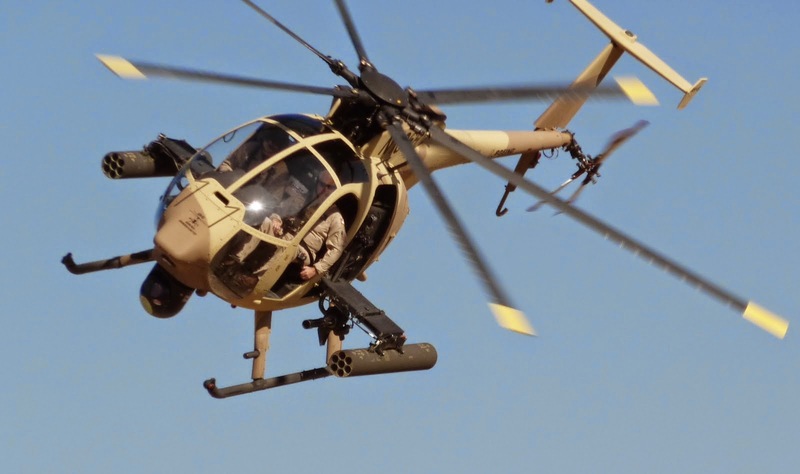 Boeing's AH-6i, a light attack/reconnaissance helicopter, is currently being considered by the Malaysian government to fulfill the country's attack helicopter requirement, it said in a statement. Under the agreement, the two companies will discuss opportunities for Destini Prima, a wholly-owned subsidiary of Destini Bhd, to expand its current expertise in aviation safety MRO to provide services and support for aircraft such as component maintenance. 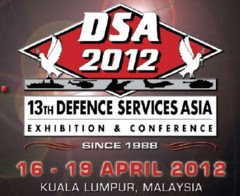 "Exploring the possibilities for Destini Prima to build on its current services portfolio would not only benefit Destini Prima's business, but also is consistent with Boeing's aims to help expand opportunities throughout Malaysia's aerospace and defence industry," Jim Armington, East Asia & Pacific International Business Development Vice-President, Boeing Defense, Space & Security, said. 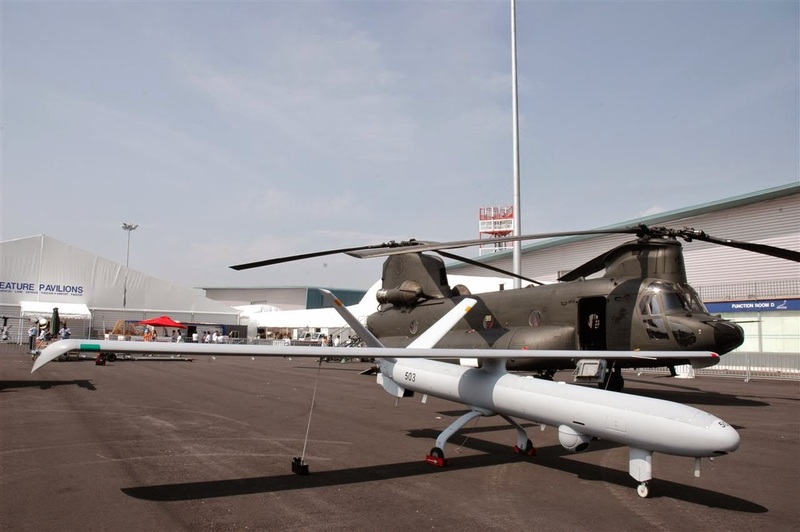 Destini Prima Chief Executive Officer Tunku Johan Mansur said, "We are delighted to cooperate with Boeing to identify efficient and effective support solutions for the AH-6i helicopter and expand our aircraft-support capabilities." The Destini Group is a leading Malaysian integrated engineering solutions provider, while Destini Prima specialises in maintenance, repair and overhaul of safety and survival products and spares for the aviation industry. The group holds internationally recognised certifications from leading industrial regulatory and accreditation authorities. 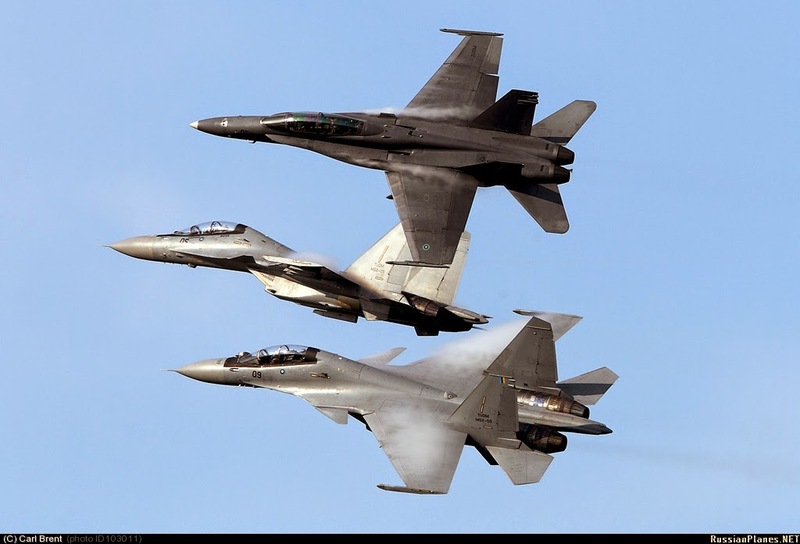 EL SEGUNDO, Calif. – Northrop Grumman Corporation (NYSE:NOC) has completed and delivered to The Boeing Company a major subassembly of the first of 12 EA-18G Growler electronic attack aircraft ordered by the Royal Australian Air Force (RAAF). 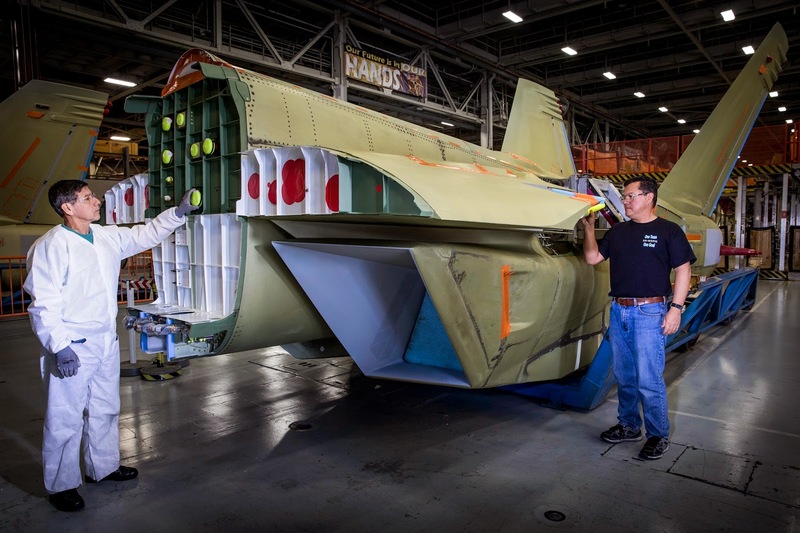 The subassembly, also known as a shipset, comprises the Growler's center/aft fuselage section, twin vertical tails and all associated subsystems. It is the 115th Growler shipset produced by Northrop Grumman and the first to be produced for an international customer. "I can't say exactly how many percent (chance there is). But when I said the navy has a chance, it means more than 50% or 60%,'' he told reporters. The budget could be around 36 billion baht. 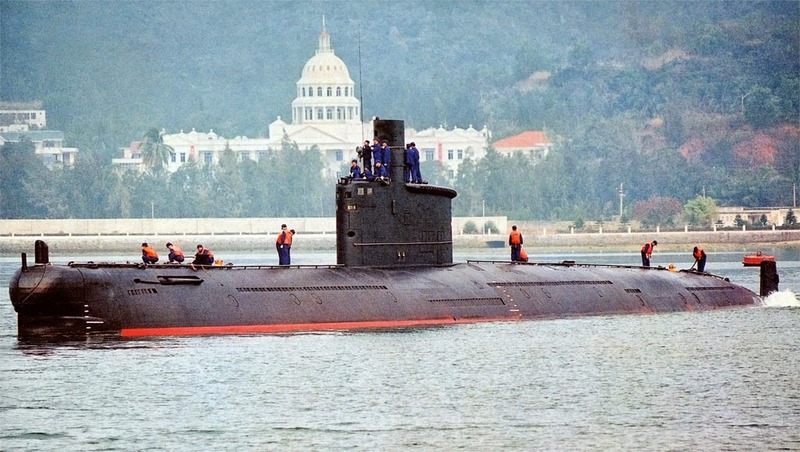 In July, the navy opened an ultra-modern, 540-million-baht submarine base and training centre in Chon Buri province, even though the country doesn't own a single sub. Navy officials say they want submarines to protect the Gulf of Thailand and Thai interests on the high seas. But one worry is the spat over the South China Sea's Spratly Islands — claimed in part or in part or in whole by Brunei, China, Malaysia, Philippines, Taiwan and Vietnam — could erupt into a regional conflict that destabilises the region. The high-ticket price was the factor, however, that ultimately sank the submarine plan. 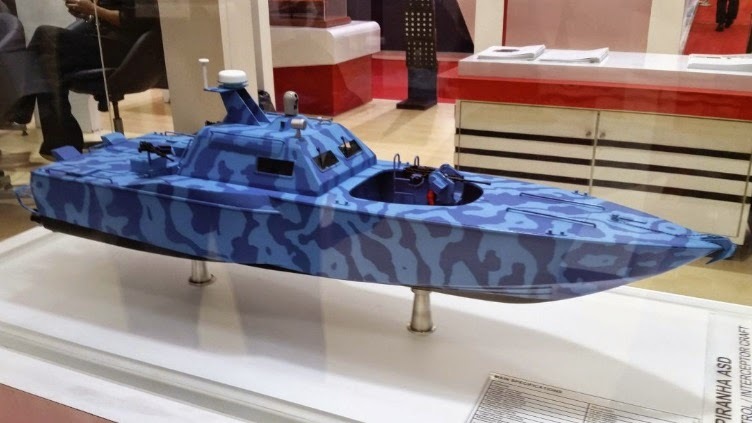 This week, however, Gen Prawit asserted that the country needs submarines to keep up with other Asean countries Malaysia, Singapore and Vietnam all have them. A navy source said the navy quietly set up a committee commanded by chief of staff Thanarat Ubon to dust off the project in December after Gen Prawit gave navy officers a green light. The panellists visited Germany, Spain and South Korea, with China set to be their next stop in investigating sub sellers. The navy wants to buy two diesel-powered submarines with displacement of 2,400-3,000 tonnes. 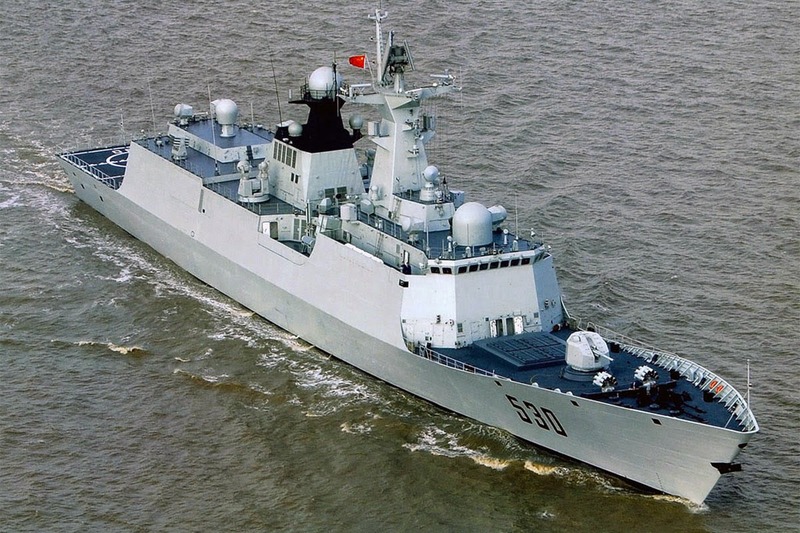 The source said the Chinese-made Yuan class is favoured by the committee due to its specifications. The U-class from South Korea and Germany also pinged the sonar screen. Penerbang militer adalah identik dengan penerbang tempur. Dan untuk membentuk calon penerbang militer yang memiliki kualifikasi handal, memerlukan pendidikan dengan waktu yang panjang dan beresiko tinggi. Agar program tersebut dapat berjalan lancar dan aman, diperlukan suatu proses yang konsisten dan berlanjut, dengan tahapan-tahapan yang sistematis, ketat dan tanpa kompromi. Hal ini ditempuh karena bakat dan kemampuan terbang bagi setiap siswa, tidaklah sama. Sementara kemampuan terbang tidak bisa ditawar-tawar. Toleransi sekecil apapun terhadap kekurangmampuan dari setiap siswa, mengandung resiko potensi yang membahayakan, tidak saja bagi diri calon penerbang itu sendiri, namun juga bagi orang lain dan alutsista yang digunakannya. Dengan kriteria demikian, secara jelas tersurat bahwa TNI AU, tidak akan mengambil resiko yang mungkin dapat terjadi akibat dari kekurangmampuan para siswa. Lebih lanjut Marsma TNI Yadi mengatakan “kalian patut bersyukur, karena tahapan bersejarah ini kalian telah mengunakan alutsista terbaru yaitu pesawat G 120 TP-A Grob yang pertama kali digunakan Sekbang baru Angkatan 89 ini.” Kalian merupakan generasi baru bagi TNI AU dan telah menjadi bagian penting dari proses modernisasi alutsista TNI AU. Tradisi yang dikemas dalam upacara militer ini ditandai upacara tambahan berupa pemotongan rambut yang diartikan (perubahan status) pemecahan telur diatas kepala perwakilan siswa sebagai tanda telah berhasilnya mereka “(menetas) menjadi burung yang bisa terbang. Selanjutnya pemberian kapas diartikan (mulai tumbuhnya sayap terbang) penyiraman kembang (penyucian dari segala yang buruk). Upacara dipimpin langsung oleh Komandan Lanud Adisutjipto, Marsma TNI Yadi I. Sutanandika, M.SS, Kadispers, Komandan Satuan, para instruktur penerbang, siswa serta ground crew yang terlibat langsung selama latihan. “Latihan terbang tahap awal ini dilaksanakan di Lanud Adisutjipto selama kurang lebih 4 bulan. Siswa Sekbang Angkatan 89 ini terdiri dari 48 orang siswa. 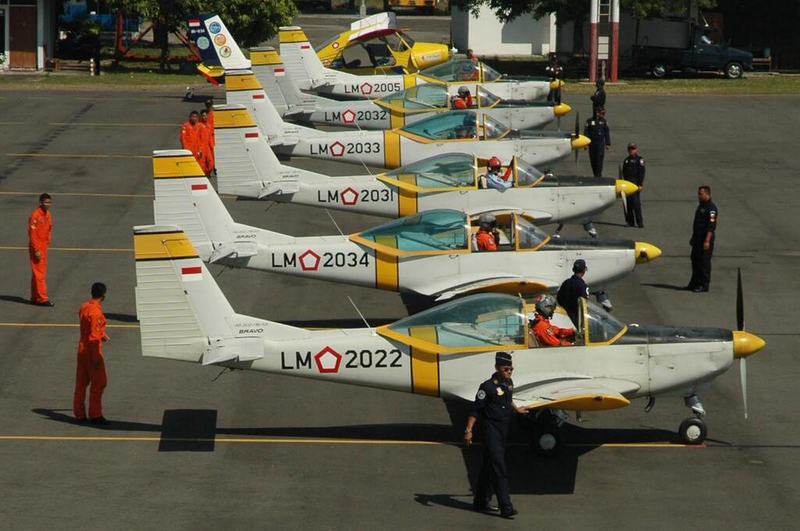 Selama latihan, siswa Sekbang Angkatan ke-89 menggunakan Pesawat Latih G 120 TP-A Grob dan sudah tidak lagi mengunakan pesawat latih Bravo seperti pendahulunya. Pesawat bravo sendiri telah dilikuidasi dan dinyatakan purna tugas terhitung tahun 2014, namun masih menunggu kelengkapan proses administrasi.” Mayor Tek Timbul. Boeing is more than halfway through a programme to upgrade the mission systems on board the Royal Malaysian Air Force's (RMAF's) fleet of eight F/A-18 Hornet fighter aircraft as it seeks to increase its presence in the market. 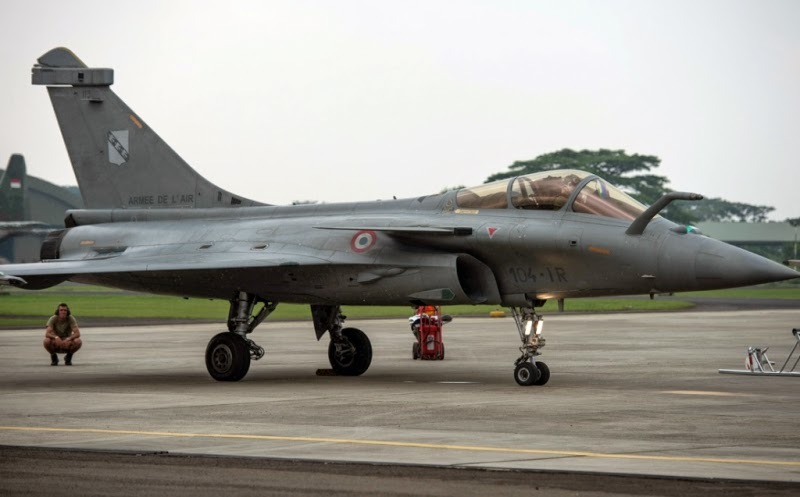 A Boeing spokesperson confirmed to IHS Jane's on 26 March that system modifications on six of the eight RMAF Hornets have so far been completed. 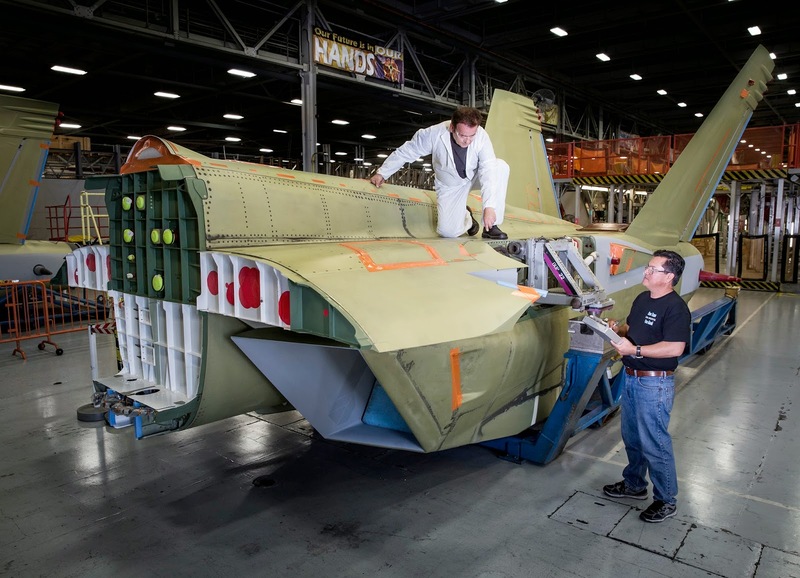 IHS Jane's understands that the upgrade brings the software capabilities of the RMAF aircraft to a comparable standard to that of the US Navy and Marine Corps. 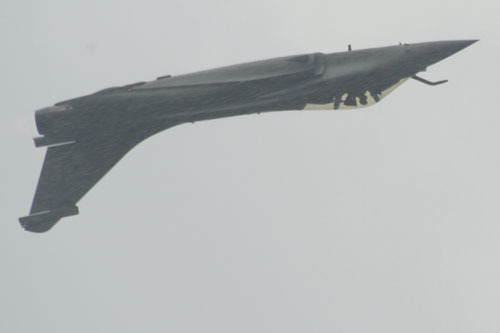 The programme, which is progressing as a US Foreign Military Sale, also allows the RMAF Hornets to operate the advanced medium-range air-to-air missile (AMRAAM) and the joint direct attack munition (JDAM). 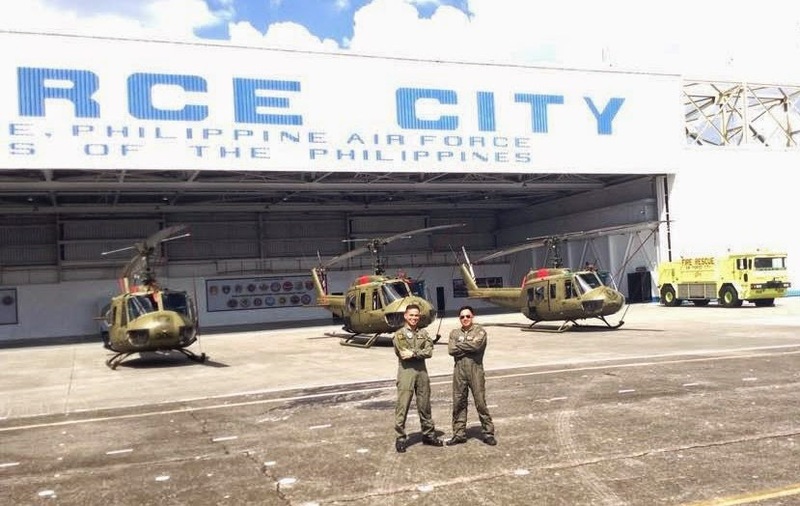 MANILA (PNA) -- For failing to deliver the 21 UH-I "Huey" combat utility helicopters on the stipulated time, the Department of National Defense (DND) issued a notice of partial termination to suppliers Rice Aircraft Services Inc. and Eagle Copters Ltd. on Wednesday. The two companies earlier formed a joint venture to supply 21 UH-I helicopters to the Philippine Air Force (PAF) for PhP1,263,600,000. "In compliance with Section 88, Rule XXII of the IRR of Republic Act No. 9184 (Philippine Procurement Law), the contract agreement between the DND/AFP and the Joint Venture of Rice Aircraft Services Inc. and Eagle Copters Ltd. for the supply and delivery of 21 UH-I helicopters for the PAF with corresponding contract price of PhP1,263,600,000 shall be partially terminated for exceeding the ten percent maximum liquidated damages," the DND order signed by Secretary Voltaire Gazmin said. The letter was sent to Robert Rice Jr., the representative of the joint venture. "Liquidated damages" refers to "at least equal to the one-tenth of the one percent of the cost of the underperformed portion of every day of delay." And once the "cumulative amount of the liquidated damages reaches 10 percent of the amount of the contract, the procuring entity shall rescind the contract without prejudice to the other courses of action and remedies open to it," DND said. It added that maximum liquidated damages was reached last Jan. 31. “You failed to comply with the agreed schedule of requirement of the contract agreement, which provides that the delivery should be within 180 calendar days upon opening of the Letter of Credit… The deadline for the delivery for the contract is on 23 September 2014,” the DND stressed. It added that eight out of the 21 choppers were only delivered as of Wednesday. Rice and its joint venture partner were given seven days to respond to the termination letter. 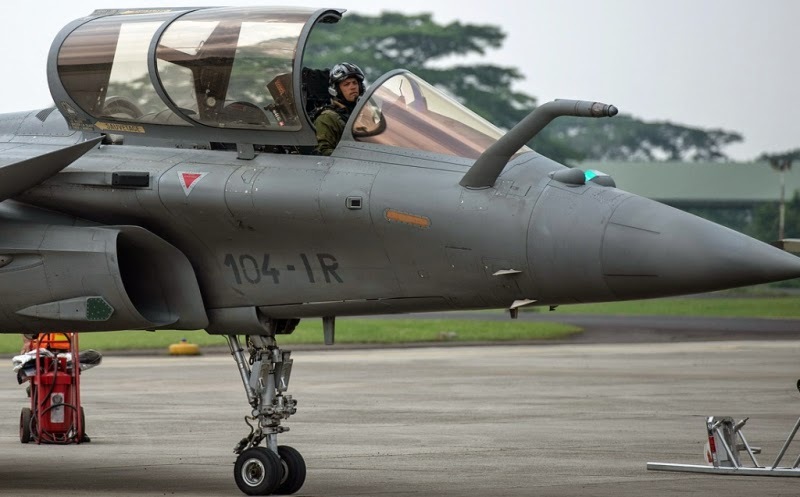 Selama lebih kurang sepuluh menit pesawat tempur terbaru Angkatan Udara Perancis (Armee De L’Air)Dassault Rafale nomor ekor 104-1R, yang diawaki pilot Kapten Benoit “Tao” Planche, terbang membelah langit Halim Perdanakusuma, melakukan manuver udara, Rabu (25/3). 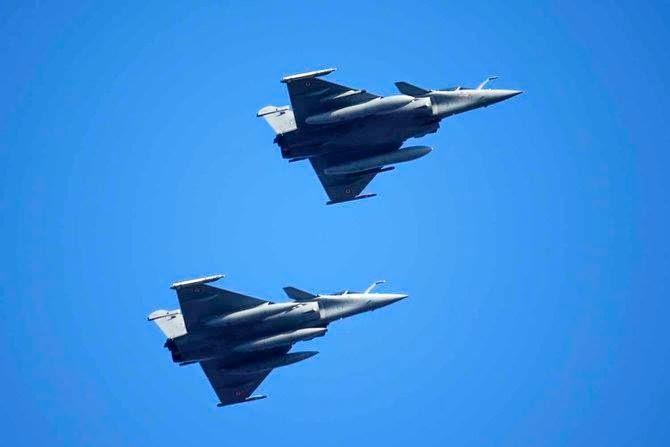 Penampilan penerbang Rafale berusia 38 tahun dan beribukan wanita keturunan Vietnam ini memukau ribuan pasang mata di base ops Halim dan masyarakat sekitarnya yang menyaksikan aksi terbang degan “High Performance Aerobatic”, termasuk para pejabat Kemhan, PTDI, TNI dan TNI AU. Diantara pejabat TNI AU tampak Asrena Kasau Marsda TNI Mawardi, S.E, Aslog Kasau Marsda TNI Nurullah, Pangkoopsau I Marsda TNI Agus Dwi Putranto, Waasops Marsma TNI Yuyu Sutisna dan Kadispenau Marsma TNI Hadi Tjahjanto. Beberapa maneuver yang dilakukan adalah take off-barell roll, square dance-half cuban height, splits S, inverted turn, roll-loop, touch and go, slow pass-slow loop, roll-inverted flight-rool, show of force, barell roll in-dumble, clover leaf dan splits S-fullstop. Manuver terakhir pesawat menanjak posisi terbalik mengeluarkan roda pendarat dan langsung mendarat pesawat Nampak mudah sekali dikendalikan oleh penerbang ber call sign Tao ini. Manuver diperagakan dari ketinggian 100 feet hingga ketinggian 3000 feet, dengan kecepatan dari 100 knot hingga kecepatan 0,95 mach dengan membuat gaya gravitasi hingga +10G/-3G. Pada pagi harinya pukul 9.30 Panglima Komando Sektor Pertahanan Udara Nasional I (Pangkosekhanudnas I) Marsma TNI Fahru Zaini Isnanto, SH. 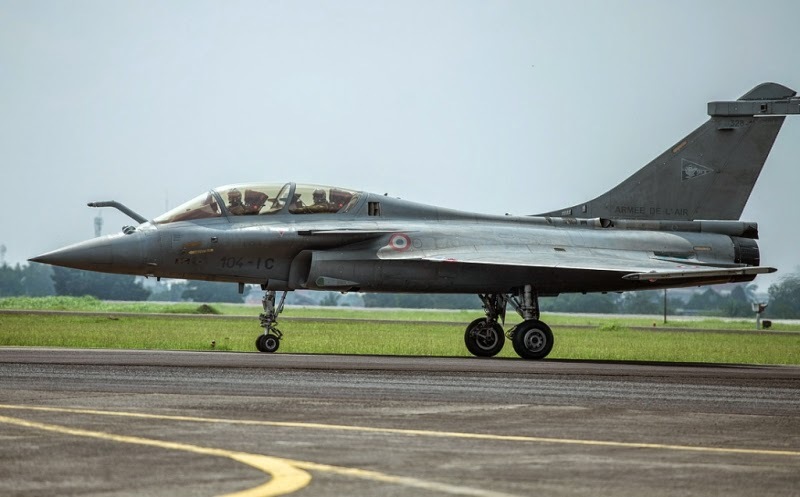 MDS., juga ikut mencoba kehandalan pesawatDassault Rafale Nomor 104-1C (Back Seater) tandem dengan Pilot Uji Dassault yaitu Letkol (Purn) Sebastian Dupont dalam serangkaian manuver udara di atas Pelabuhan Ratu Jawa Barat. Selama 45 menit penerbangan, Pangkosekhanudnas I mendapat kesempatan mengendalikan pesawat tersebut dalam berbagai manuver dari ketinggian 25000 feet hingga 100 feet, diantaranya simulasi mauver dogfight, air to air serta air to ground dan low level flight pada ketinggian 100 feet di atas laut Pelabuhan Ratu. Marsma TNI Fahru Zaini Isnanto, SH. MDS., mengatakan, bahwa pesawat ini sangat lincah, canggih dan cukup handal dalam berbagai manuver, memiliki tempat duduk sangat nyaman seperti pesawat F-16 “Saya sempat manuver hingga 8.5G”, ujarnya. Sementara sebeumnya pada Selasa kemarin, tiga penerbang tempur TNI AU yaitu dua penerbang F-5E Tiger yaitu Mayor Pnb M. Yunus “Bradox” dan Mayor Pnb Abdul “Phoenix” Haris dari Skadron Udara 14 serta seorang penerang F-16 C/D Mayor Pnb Agus “Wolverine” Dwi dari Skadron Udara 3 juga ikut terbang menjajal kehebatan dengan pesawat tempur Rafale. Ketiga penerbang dari Laud Iswahyudi Madiun ini menyebutkan betapa lincah dan modern dan canggihnya system sensor pesawat tempur generasi 4.5 ini. Sistem sensor terpadu memungkinkan pesawat menangkap sasaran udara dan darat dengan radar, mengidentifikasi kawan dan lawan (Identification Friend and Foe) secara langsung dan menampilkan identifikasi visual dengan sensor kamera infra merah jarak jauh untuk memastikan itu sasaran yang tepat atau tidak dan memilih menembakkan rudal jarak sedang atau jarak dekat. Demikan pula untuk penembakan darat dan laut bisa mengunci sasaan pada jarak 50 km, memilih sasaran yang tepat dan memilih penembakan senjata bom pintar JDAM pada jarak 30 km atau menembakkan rudal exocet untu menghancurkan sasaran Laut. 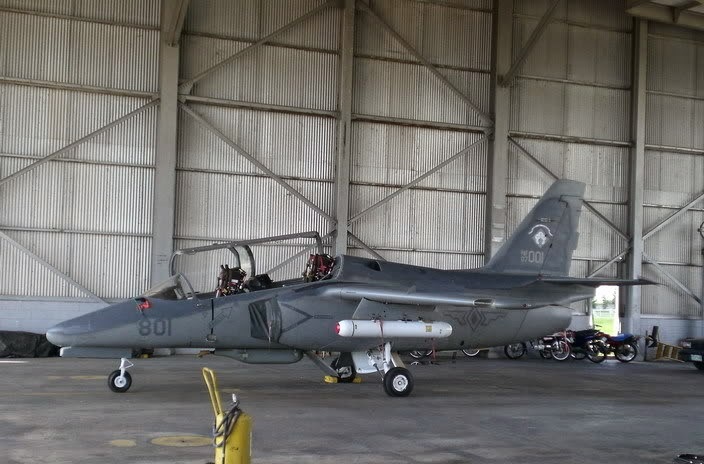 Kedatangan pesawat tempur modern ini sangat baik agar kita semua bisa membandingkan kecangihan aneka pesawat yang ditawarkan untuk mengantika pesawat tempur F-5 Tiger II kita yang sudah waktunya beristirahat. Banyak pilihan yang menarik namun keputusan pesawat jenis apa yang akan dipilih tetap berada ditangan pemerintah RI untuk memperkuat Kekuatan Dirgantara Nasional sesuai dengan kebutuhan, tantangan masa depan dan kepentingan nasional Indonesia.